As a member of the Hotel Tech Report community, you can now easily add your product's integrations to your profile. When a partner lists your product's integration with them, you'll receive a notification email with a link to 'verify' the integration. Click the link or head to the profile editor to verify the integration. Invite your product, integrations or partnerships teams to list and manage your integrations on Hotel Tech Report right from the vendor dashboard. Don't see one of your integrations listed on Hotel Tech Report? Click here to send them an invitation to connect . We'll notify you when your partner's profile is live and add the integration to your profile. Reach out to us via the live chat on Hotel Tech Report anytime with questions or feedback. How can I reject an integration request that isn't valid? How can I list my company's integrations? 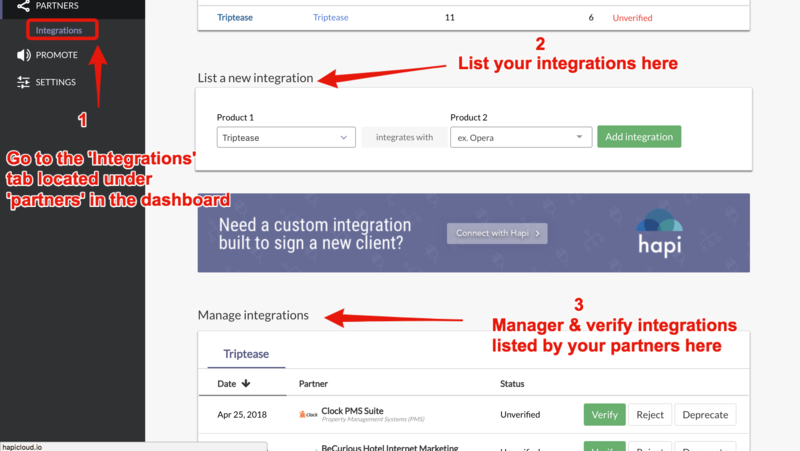 How can I invite my product team to manage our integrations? Click here to invite teammates to gain admin access to your profiles with you to help list and manage your integrations. 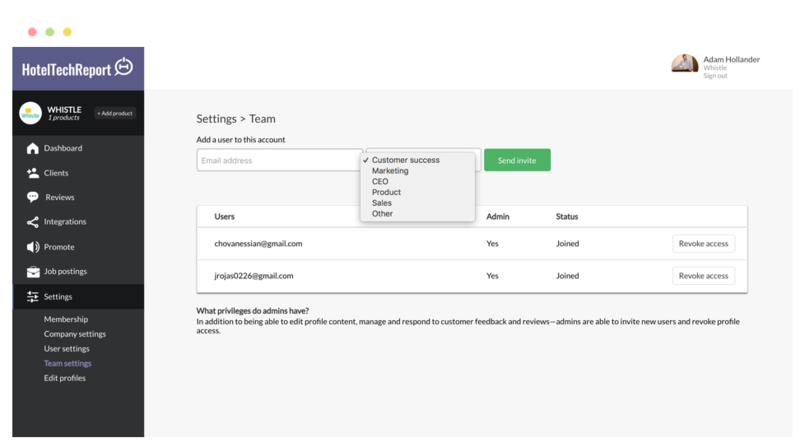 You can also just instruct them to press the 'claim profile' button in the side bar of any of your profiles to gain access and be able to manage your integrations. How can I deprecate an integration we no longer have? Have an integration that is no longer active? Easily deprecate an integration from the profile editor (shown here).